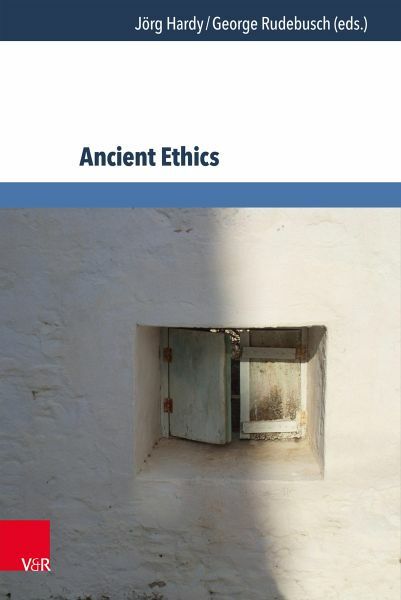 This volume presents essays on Ancient ethics from Homer to Plotinus with a focus on the significance of Ancient ethical thinking for contemporary ethics. Adapting Kant's words, we might describe philosophers today as holding that meta-ethics without normative ethics is empty; normative ethics without meta-ethics is blind. One fascinating feature of Ancient ethics is its close connection between content and method, between normative ethics and meta-ethics. In connecting ethical, epistemological, and cosmological issues, Ancient ethical theories strive for an integrated understanding of normativity. The project of this volume is to capture some of the colours of the bright spectrum of ancient ethics. The goal of bundling them together is, ultimately, to shed better light on the issues of contemporary ethics. Topics: Classical Chinese Ethics, Indian Ethics, Homeric Ethics, Socrates, Plato, Aristotle, Hellenistic philosophy, Plotinus, Ancient and Modern Moral Psychology, Hybrid Theories of Normativity, The Unity of the Virtues, The Art of Life and Morality (Lebenskunst und Moral). Contributors: J. Annas, M. Anagnostopoulos, R. Aprressyan, Th. C. Brickhouse / N. D. Smith, J. Bussanich, C. Collobert, S. Delcomminette, W. Detel, D. Frede, L. Gerson, Ch. Halbig, J. Hardy, O. Höffe, B. Inwood, M.-Th. Liske, L. Pfister, M. McPherran, J. Piering, G. Rudebusch, D. Russell, G. Santas, Ch. Shields, M. Sim, C. C. Taylor. Prof. Dr. Jörg Hardy ist Wissenschaftlicher Leiter der Stiftung Menschenwürde weltweit, Neuss. Prof. Dr. George Rudebusch lehrt Philosophie an der Northern Arizona University, USA.